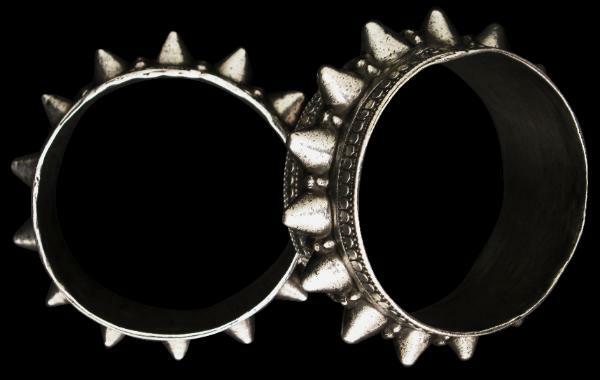 The points of these bracelets resembles the thorns of many desert plants and so they are given the name benagir bu shoka (thorny bracelet) in the local dialect. These bracelets are of high grade silver. There are no losses and they have excellent patina, the points having been softened from years of wear. 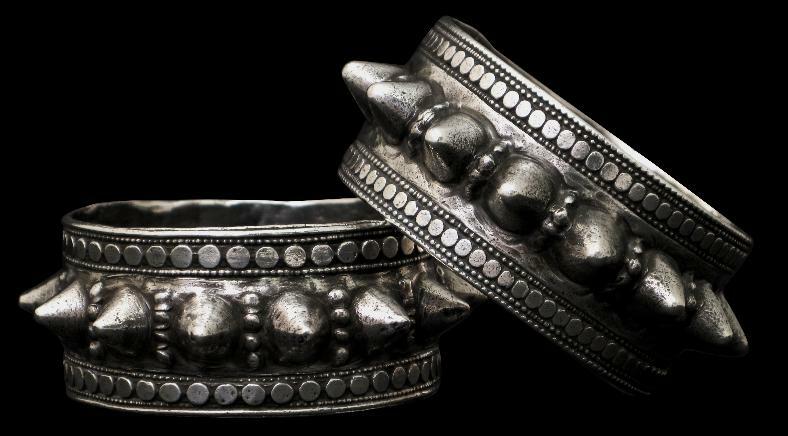 Bracelets of similar form also originate in the Dra Valley of the Anti-Atlas, Morocco. Bracelets of almost identical form are illustrated in Ethnic Jewellery: From Africa, Asia and Pacific Islands, Pepin Press, 2004, p. 60.